For the past few years, you've been writing bestselling novels based on the stories you've heard told by the ghosts who visit you at midnight. But tonight you have a special visitor, Abraham Lincoln, the 16th President of the United States! He wants you to go back in time and find the treasure of the Knights of the Golden Circle, a secret Confederate order, before Lincoln's enemies do! Follow the clues, while learning trivia about famous people and places from the American Civil War in this fascinating Hidden Object Puzzle Adventure game. 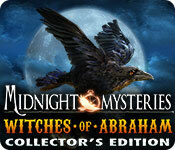 Midnight Mysteries: Witches of Abraham Collector's Edition is rated 3.6 out of 5 by 73. Rated 5 out of 5 by Cindy583 from The very best don't miss out on this one.... 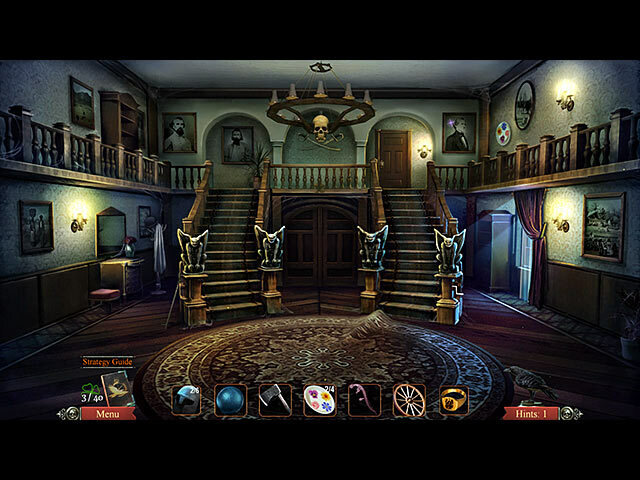 Midnight Mysteries: Witches of Abraham Collector's Edition is in my opinion the best of the Midnight Mysteries game,*I have all six of them*. Give the demo a try and find out for yourselves, have fun playing. I loved everything about this game. Rated 5 out of 5 by autsj from autsj Loved this game! Storyline was excellent, with an interesting history lesson. I do wish you could use the map to move quicker, and was disappointed the mini-games couldn't be played at the end like the hos. 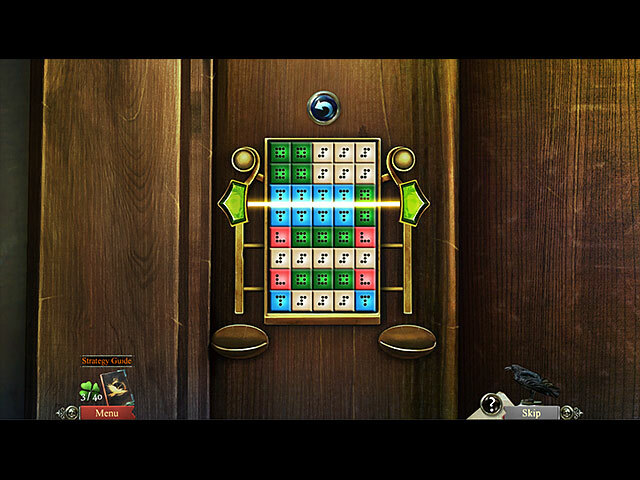 Look forward to the next midnight mysteries game! Rated 5 out of 5 by arnold1049 from MY NEW FAVORITE GAME I thoroughly enjoyed this game. The only improvement I can think of would be to make the map interactive so I could jump from one location to another. The storyline was excellent. Having been born and raised in Missouri, the Jesse James connection was particularly interesting. Of the 22 available achievements, I got 18. Three of the 4 I missed had to do with finding all the clovers and ravens. The 4th was not doing the barrel puzzle in the fewest moves. There is a lot going on during this game, enough to keep me busy and not bored. After finding 40 clovers, the bonus material was unlocked. 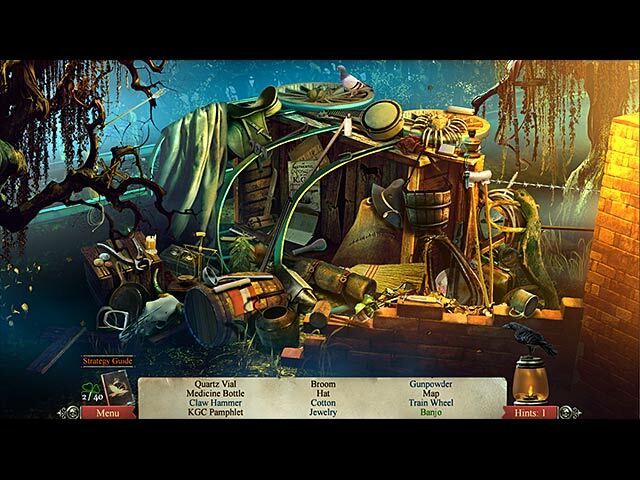 I enjoyed playing the unlimited hidden object scenes and doing the puzzles that brought up true information about the characters in the story. Collecting ravens increased the number of hints available. I found very few ravens, but that was OK as I needed very few hints. The only thing I used the built-in strategy guide for was for help on some of the puzzles. This game is the tops. Rated 5 out of 5 by felinedevine from Very Well Done I believe I have played all of the "Midnight Mystery games, but this is my favorite so far. You are asked by the late President Lincoln to find a cache of valuables and money that is geared toward helping the confederates cause. Along the way, Abe gives you info. as to what to look for and where to go next. This game was great fun, and the graphics were superb. There are also others in history who play a part such as Jessie James and John Wilkes Booth. I also learned some facts that I didn't know about certain people. The main game is a decent length, and the bonus game was also great, and was a continuation of the game. I also liked the mini games very much because they were different then run of the mill for the most part. The hint system worked very well, and kept me from even having to use the strategy guide for most of the game. Not too many hos, but just enough in my opinion. Rated 5 out of 5 by Mrs_Tom_Robinson from What a great game! I loved the historical aspect. I liked the fact that you had more to do than find hidden objects. Graphics were great, music good. Loved it! Rated 5 out of 5 by ncrittah from Great time I don't know how true the facts are but I had a ball. I really liked the game it was like a history class and a game all rolled in one. Excellent game. I would like to see more like it maybe some other presidents? One night the ghost of President Lincoln appears, asking for your help. Can you find the hidden Confederate treasure?